CAAMP serves a wide swath of the industry – from brokers and bankers to mortgage insurers – and one industry player believes it’s about time the national association provide clarity on which segments provide the most financial support. When asked, CAAMP did not provide a detailed breakdown of its funding. The country’s most influential broker association has been lauded for its government lobbying on behalf of the industry, but it has also drawn criticism for perceptions around a lack of broker-specific support. Recently, however, the national association launched a series of ads that explain the benefit of working with brokers. CAAMP’s newest ad campaign focuses on marketing its entire broker community and not just AMPs. At the time, Freiman specified that funds raised through the AMP designation are used exclusively for raising awareness about AMPs. That's the problem with an organization trying to generate income by being everything to everybody, it ends up serving no one very well. Of course CAAMP was not intended to further mortgage broker's interests, it tries (although unsuccessfully) to serve all Canadian Accredited Mortgage Professionals (often with competing interests). The concept of CAAMP is strange to begin with as mortgage brokers are regulated provincially, not federally. Although they have some common issues many of the issues are not shared and occur distinctly with the provincial regulating legislation, the provincial regulator, and in the provincial marketplace. True transparency would not be in CAAMP's interest as the unavoidable problems with its business model would become obvious. Nothing is funnier and sadder to see when these new and uneducated brokers make stupid comments about the industry. MBN should only allow brokers with volumes of $20 Million+ to make comments! I know it sounds like a crazy idea and doable, but for god sake focus on your business and growing your business instead of making stupid comments about this industry! I don't understand the issue Walid Hammami is pointing to. 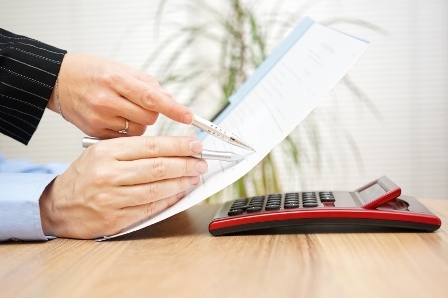 Members are entitled to the financial statements of their association. If the association doesn't provide them, then a court application should be fairly straightforward and cheap. Appropriately done, the association can end up bearing the costs of the application. If the association provides overly broad statements, more detail should be demanded backed with the force of court action if necessary. Regardless, the starting point is for a member to demand the statements.